Did you just fart? No, its Google Nose, not me! I am no fool, so it doesnt fool me at all. But the introduction video. What we can learn a couple of things from it? Its main target audience groups are K-9 or furry meowing little things. Meh, now I can see more kittens have to go to rehab after they get high on catnip too long. And you can now always say Its Google Nose, not me, when you ride an elevator with people and you cant hold your emergency pressure relief valve. You causally take out your phone, and blame on Google Nose. 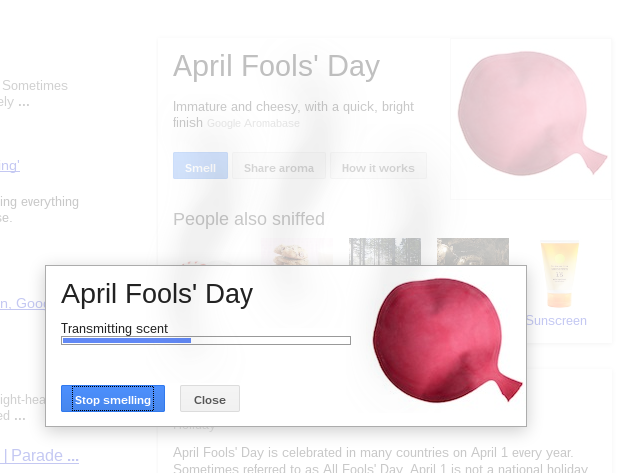 So, how does April Fools Day smell? I still have no clue. LOL, it even draws scent shadow on the screen with weird background sound. Within 24 hours, the code will be removed. You may still be able to see this if you reset the date to 1st. 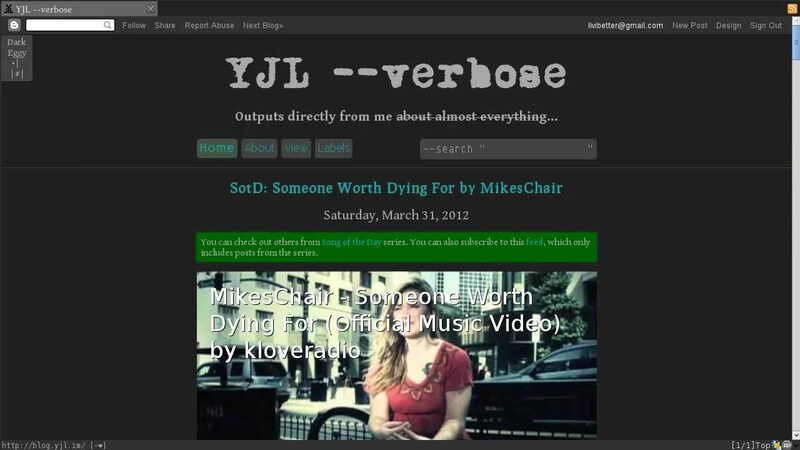 I even posted a fake post for luring feed readers in because I know they wouldnt see anything in their favorite reader. Also a post on Google+, just did my best to spread the fun. I dont know if I should paint some eggs next. Just a simple collection of what I read on net for this special day. (1, 2, 3) http://www.google.com.au/intl/en/gball/, http://www.itwire.com/content/view/24164/1141/, and http://thepiratebay.org/torrent/4816087/Warner_Bros_Loves_The_Pirate_Bay.pdf are gone.